The fast and furious stacking game and construction toy for kids of all ages! 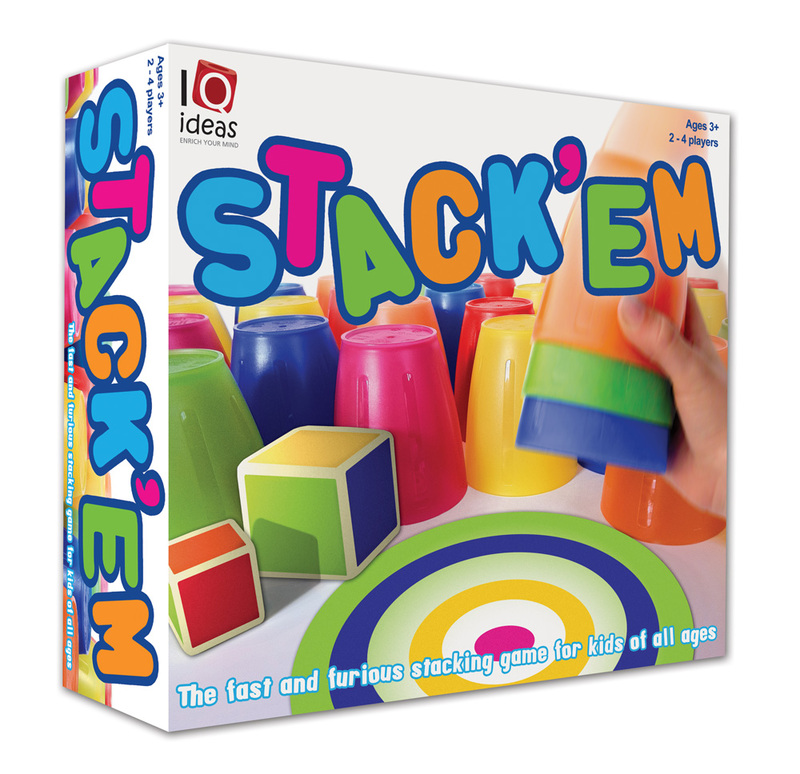 As a tabletop game, Stack’em is deceptively simple, requiring lightening reflexes and a steady nerve. Players compete against each other to be the first to hit the bullseye with their set of stacked multi-coloured cups. It’s a case of Stack’em up and slam’em down – the quicker the better! With multiple ways to play, tension mounts with each roll of the coloured dice. A sneaky left/right hand challenge adds an extra devilish dimension for those who have mastered the basic game. As a construction toy, Stack'em will keep the younger kids entertained for hours. Use the cups to build multi coloured towers, pyramids, roads and forts. Select just one colour or all six to make impressive shapes and designs. Preschool kids love breaking their designs down as much as the love building them up. Stack'em is extremely versatile and great value for money. Being able to be used as a tabletop game, a construction toy and as an educational tool teaching counting, colours and pattern recognition, Stack'em can grow with your child and is sure to maintain its place in the 'favorites' toy box over time.